SRINAGAR: Every September and India and Pakistan take the Kashmir battle to the United Nations and its various affiliate organisations. The ‘battle’, usually the verbal one, has actually started and this season, it took from the OHCHR (Office of the United Nations High Commissioner for Human Rights) that has its 39th session in progress (September 10-28) at Geneva. 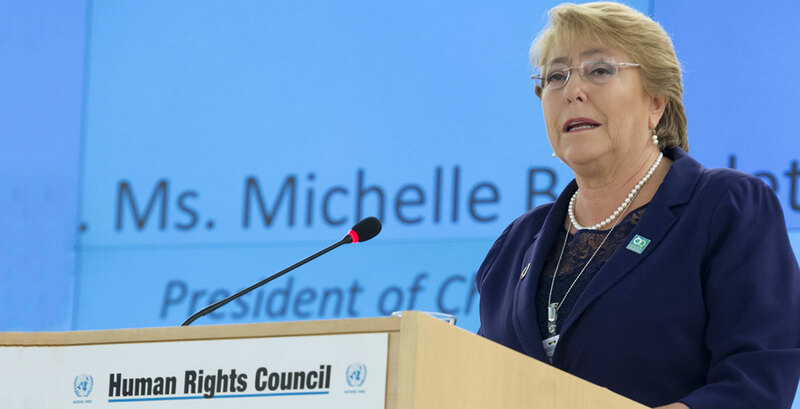 Incidentally, the debate on Kashmir between the two countries was started by none other than the new High Commissioner, Michele Bachelet, who, in her inaugural speech talked about the tight spots across the globe on the human rights front. Kashmir figured prominently. This led the two countries going against and in favour of what she said. “We extend a warm welcome to the new High Commissioner who assumes office as we celebrate the 70th anniversary of the adoption of the Universal Declaration of Human Rights. Madam High Commissioner, with your vast experience in public life including the UN System, we are confident that there would be constructive cooperation between the Office of the High Commissioner and the States towards strengthening further the promotion and protection of all human rights, including the Right to Development. Madam High Commissioner, there is no denying that these are challenging times including for this body. It is important, therefore, that human rights issues are addressed constructively with respect for national sovereignty and territorial integrity in a transparent and credible manner. We regret that reference has been made to the Indian State of Jammu and Kashmir. Our views on this matter have been made abundantly clear in the Council. Madam High Commissioner, terrorism is the biggest scourge and the greatest violator of human rights and we hope you would address this issue more emphatically in the coming years. India has served the Council with the conviction that the promotion and protection of human rights are best pursued through dialogue and cooperation. We are committed to contributing further to the Council in a spirit of collaborative engagement and count on the support of all our colleagues as we persist on this path. “We thank High Commissioner Michele Bachelet for her report and the oral update. We welcome her leadership of the OHCHR. She has rightly drawn our attention to the continuing conflicts and crises across the global and the need to work towards permanent solution of such conflicts, thereby easing human rights and humanitarian challenges. The High Commissioner rightly stated yesterday that the people of Jammu and Kashmir have exactly the same rights to justice and dignity as people all over the world. 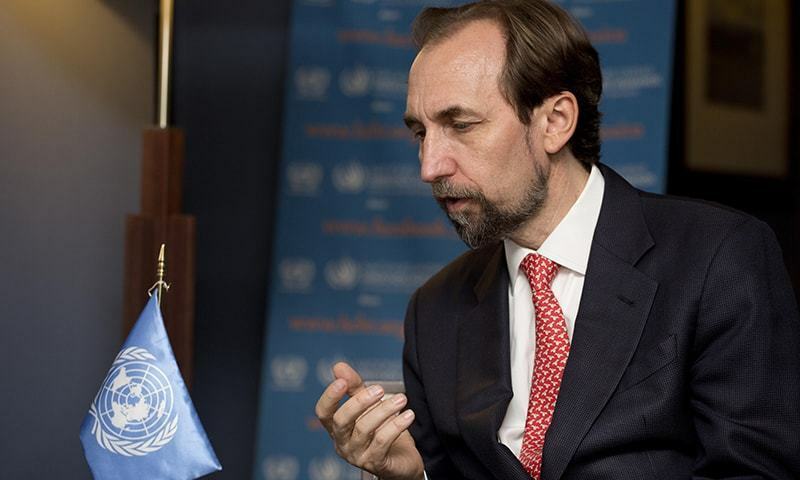 Pakistan also shares the High Commissioner’s anguish that OHCHR’s Kashmir Report (quote) “has not been followed up with meaningful improvements or even open and serious discussions on how the grave issues raised could be addressed” (Unquote). Pakistan has acknowledged the importance of OHCHR Report in documenting excessive use of force, arbitrary arrests, detentions and disappearances, cases of mass graves and continued sexual violence, as part of overall impunity enjoyed by Indian security forces in Kashmir. 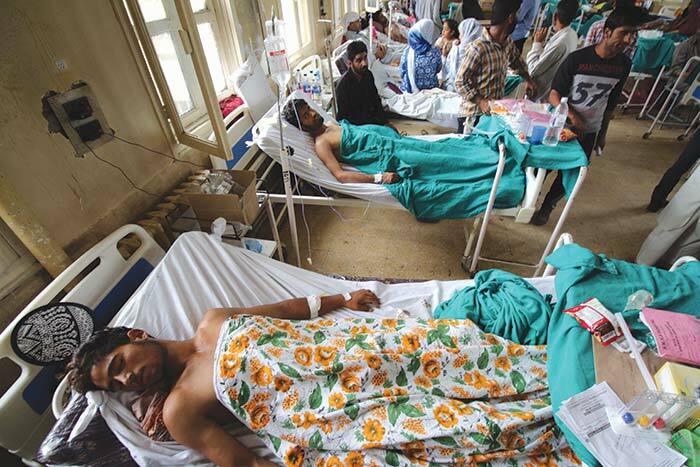 Since this June when the Report was published, plight of Kashmiri civilians in J&K has only worsened. Around 60 civilians have been killed with scores of them injured or rendered missing by India forces since this Council last met. The use of pellet guns continues to blind and deface civilian protestors. Pakistan endorses High Commissioner Bachelet’s call for urgent implementation of the recommendations of the OHCHR report. In this regard, Pakistan welcomes the Report’s proposal to establish a ‘Commission of Inquiry’ for international investigation into human rights violations in J&K. 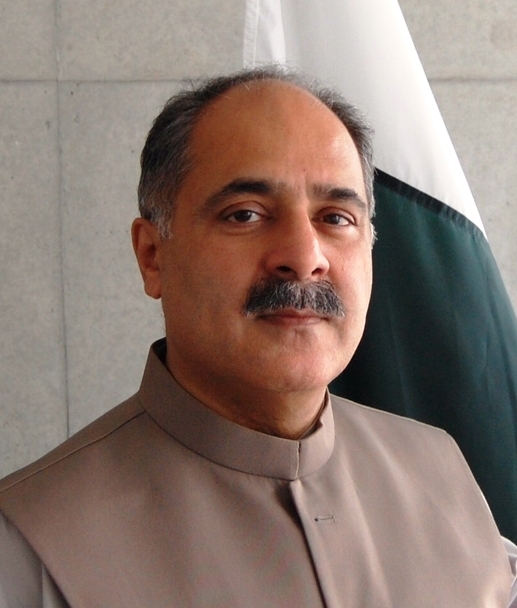 Pakistan is willing to allow any UN team to visit Azad Kashmir as long as it is able to visit the J&K. In that sense, Pakistan’s stance on the question of “access” by the UN is unconditional as long as India offers similar access to the Territory it occupies. We have nothing to hide as people of Kashmir always wanted to join Pakistan. Pakistan, therefore, has never shied away from implementing numerous Security Council Resolutions that call for a free and impartial plebiscite in Kashmir under the UN auspices to determine the region’s future. India constantly blocks implementation of these resolutions as it knows it would lose in any free and democratic vote in Kashmir. “India exercises its right of reply to the statement made by Pakistan under Agenda Item 2. We reject Pakistan’s futile efforts to rake up the issue of Jammu and Kashmir, including through repeated references to the motivated and fallacious report which we have outrightly rejected. The entire State of Jammu and Kashmir is an integral and inalienable part of India. There can be no doubt on this fact. The people of J&K, as citizens of India, have repeatedly reposed their faith in Indian democracy by actively participating in free and fair elections held at all levels. We have robust and effective mechanisms to address all challenges in the Indian state of Jammu and Kashmir and protect their legitimate interests. The main challenge in Jammu and Kashmir is cross border terrorism emanating from Pakistan. In 2017 alone, unrelenting cross-border terrorism from Pakistan was responsible for 342 terrorist attacks in Jammu and Kashmir resulting in the death of 120 civilian and security personnel. Is it not an irony that a State, which protected Osama Bin Laden and sheltered Mullah Omar is raising human rights concerns? Even as we approach 10 years of Mumbai terrorist attacks, their perpetrators continue to roam freely in Pakistan. The fact that UN proscribed terrorist entities and individuals actively campaigned and contested in the recently held elections reflects the deplorable state of affairs in Pakistan. Terrorism originating from Pakistan remains the biggest threat to regional and global peace and security. No amount of hyperbole can hide the dismal human rights record of Pakistan, which has been systematically violating the rights and freedoms of people of PAK including exploitation of their natural resources. Extrajudicial killings and disappearances in Sindh, Balochistan and Khyber Pakhtunkhwa continue to be the order of the day. Minorities are harassed through blasphemy laws. Forced conversions and marriages of minority women are routinely carried out with impunity. Even Muslim minorities such as Shias, Ahmadiyas, Ismailia and Hazaras are victims to sectarian violence and systemic persecution. Pakistan with its amnesic tendency chooses to conveniently recall parts of the UN resolutions on Jammu and Kashmir. We would like to remind the Council that it was Pakistan that wrecked the UNSC resolutions by not meeting its primary obligation to first vacate the illegal occupation of PAK. Pakistan should put a stop to its continued aggression against the people of Jammu and Kashmir and fulfill its commitments under the 1972 Simla Agreement and Lahore Declaration of 1999. “We are making this right of reply in response to India’s statement. We regret that instead of introspection of its atrocities against the Kashmiri people, India has again resorted to baseless polemic and provocative rhetoric against Pakistan. We do not intend to engage in an altercation on domestic issues of India — though, rest assured, we have plenty to speak on that topic. While overarching political and legal denominations of Jammu and Kashmir remain inextricably linked with any deliberation on the issue, the focus of this Council and indeed the OHCHR report is about human rights violations in the J&K. The OHCHR report only corroborates and compiles the series of gross human rights violations committed by India in Kashmir. Pakistan has welcomed the OHCHR’s recommendation of establishing a Commission of Inquiry. If India has committed no crime in Kashmir and if sources of instability in Kashmir are external, India should also welcome the Commission. India’s abject rejection of the Commission is a testament that it fears an independent investigation, which will inevitably expose its crimes against the Kashmiri people. India cannot subsume the political uprising in Kashmir under the banner of terrorism. Hundreds of Kashmiri civilians blinded by pellet guns were not terrorists. Thousands of protestors who throng the streets of Srinagar, Kupwara, Shopian, Bandipura and other towns and villages in J&K are not terrorists. 8 years old girl Asifa, raped to death by priests and extremists in a Hindu temple in Jammu, was not a terrorist. Sources of instability in J&K are indigenous, led by impunity of its 700,000 strong military force there. India therefore does not allow any international verifiable mechanism like the OHCHR to work in J&K. 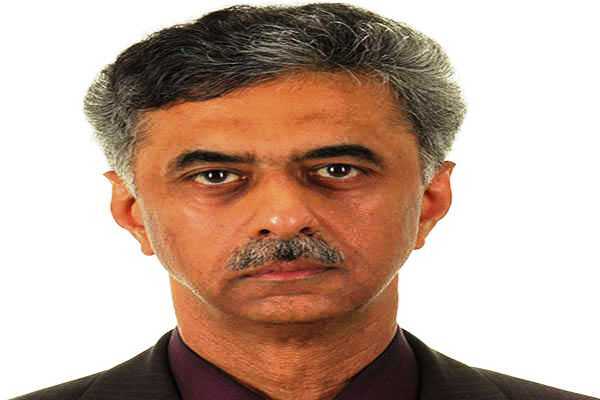 The Representative of India is maligning Pakistan as knee jerk reaction. However, we will restrict ourselves with discussion at hand and urge India to implement the recommendations of the OHCHR report including the Commission of Inquiry on Human Rights Violations. If it has nothing to hide, it must not reject the Commission and other recommendations of the OHCHR Report. With the news created for their respective media across the Redcliff divide, the diplomats had their rest, only to pick up the “battle” again. They had a brief exchange of contrarian views on enforced disappearances report when the discussions took place on September 12. While Pakistan raked up Kashmir, India talked about Pakistan’s underbelly. “All human rights are equal and indivisible, to be treated with similar attention and emphasis. The Right to self determination, enshrined in the UN Charter and other International Covenants, is at the root of the realization of all these rights. In the last seven decades, Right to self determination galvanized the drive of decolonization and inspired newly independent states to adopt policies of national choice in protection and promotion of all human rights. The people of Jammu and Kashmir still wait to exercise their Right to Self Determination promised to them not just by the first Indian Prime Minister and one of its founding fathers but also by the United Nations. Instead of living up to its promises, India illegally occupied the territory through use of force, fraudulent instrument of accession and illegal decisions of subsequent puppet regimes. The fraudulent instrument of accession, as a document, does not exist. The decision of the puppet regime flouts UN Security Council Resolution 122 which clearly stipulates that no local elections or decision on Kashmir’s future disposition can substitute the UN supervised plebiscite to determine the will of Kashmiri people. Over a dozen Security Council Resolutions on Kashmir provide a framework for the Kashmiri people to exercise their Right to Self Determination. India cannot mislead this Council by blaming Pakistan for not demilitarizing the territory to enable holding of plebiscite. Security Council Resolution no. 98 clearly laid down specific the number of troops both India and Pakistan can maintain on respective sides of the Line of Control at (quote) “at the end of the period of demilitarization” (unquote). Absolute demilitarization was never a precondition for holding of the plebiscite. India also endeavours to subsume the Kashmiri struggle for the Right to determination as terrorism. India should not hide behind the global concerns on terrorism to justify its own atrocities and human rights abuse. The Commission of Inquiry called for by the OHCHR report, gives India a platform to prove its point. Pakistan has welcomed the Commission of Inquiry. India should also accept the Commission for the truth to prevail. India, do not fear the truth. India should also implement OHCHR’s recommendation to uphold the Right to self determination of the Kashmiri people. The fulfilment of this right is essential to safeguard all human rights of the Kashmiri people and to promote regional and international peace and security. “India exercises its right of reply in response to the statement made by Pakistan under Agenda item 3. No amount of rhetoric from Pakistan can deny the fact that Jammu and Kashmir is an integral and inalienable part of India. The State of Jammu and Kashmir chose to join India through the signing of a totally legal and irrevocable Instrument of Accession. It is Pakistan that is in illegal and forcible occupation of a part of the Indian State of Jammu and Kashmir. The principles of self-determination espoused by Pakistan pose severe dangers to several countries in the world where multi-ethnic and multi-religious societies coexist. In contravention of the UN Charter, the concept cannot become an instrument to promote subversion and erode the political cohesion or territorial integrity and sovereignty of the Member states. What is portrayed by Pakistani as self-determination is actually State-sponsored cross-border terrorism and the support actually means extending military, financial, logistical support to terrorism against India. Cross-border terrorism till date has killed more than 14,000 civilians and 5000 security personnel in Jammu & Kashmir alone. Despite this continued aggression against the people of J&K and the proxy war raged by Pakistan, the people of J&K have repeatedly reposed their faith in the Indian democracy. In contrast, the deep state in Pakistan has denied the right to its own people for more than half of its independent history. Political dissidents and legitimate criticism in Sindh, Balochistan and Khyber Pakhtunkhwa face violent suppressions. Pakistan has no regret to even air-bomb its own civil population. Unabated persecution of religious minorities including Shia, Ahmadiya and Ismaili muslims, forced marriages and draconian blasphemy laws expose Pakistan’s utter disrespect for international laws and norms. This is the human rights record of Pakistan! Pakistan keeps harping about UNSC resolutions on Kashmir conveniently forgetting that it is Pakistan’s intransigence and territorial ambition that have made the resolutions redundant. If Pakistan has any respect for truth, it should first meet its obligations and vacate the illegal occupied territories. Pakistan is also reminded of its international obligations under other UN resolutions. In blatant disregard to UNSCR 1267, Pakistan continues to mainstream a large number of UN proscribed terrorist entities and individuals and despite international outrage, it has allowed them to campaign and actively participate in the recently held elections. It not without reason that the Financial Action Task Force (FATF) has put Pakistan under grey list! The session is going on and the two countries will have to issue many more statements in the coming days. But the real news will come from the general assembly, where heads of the state’s or their foreign ministers make speeches. The two countries have been flying plane-loads of diplomats and the activists to score diplomats points over each other. It is too early to say who goes from Delhi and if Imran Khan will take off for a quick ‘hour’ in the global pitch. But one is clear and safe to say is the show goes on.